INSANE Speeds! 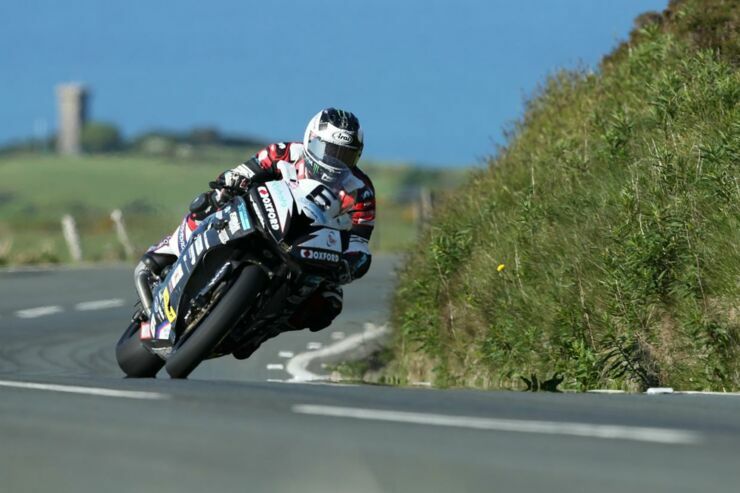 Michael Dunlop RST Superbike TT 133.393mph - Lap RECORD! If you are a fan of motorcycle racing then you will no doubt have heard of the Isle of Man TT Races, no other motorcycle race is held on such a challenging track as the 37-mile plus Mountain Course with its seemingly never-ending series of bends, bumps, jumps, stone walls, manhole covers and telegraph poles. Each year the roads and streets of the Isle of Man are transformed into one of the most insane motor racing circuits in the world, where motorcycles travel at top speeds of around 195mph down country roads and through villages and towns. It's the ultimate road race challenge for many professional and amateur racers alike. On the opening race of the 2016 event Michael Dunlop (a Northern Irish professional motorcycle racer) set a new lap record, the first ever sub 17-minute lap time. He did this on the legendary Mountain Course on his Hawk BMW superbike to win the RST Superbike race, with second place taken by Ian Hutchinson and John McGuinness claiming third. The record lap happened on lap two of the course and the time was 16 minutes 58.25. It meant Dunlop had to get an average time of 133.393mph over the 38 mile circuit which is full of winding roads. 27-year old Dunlop's winning time was an incredible 1m15.643s inside the old race record. You can watch the very impressive achievement captured through the onboard footage in the video above. It might not look that impressive from the on-board camera, but as one YouTube commenter said, "You know how some lap records don't really look that quick and terrifying... This one does.﻿"
Old School VW Golf Mk1 Vs. Yamaha R1 Superbike Drag Racing - Who Will Win?